"One shot, one kill. 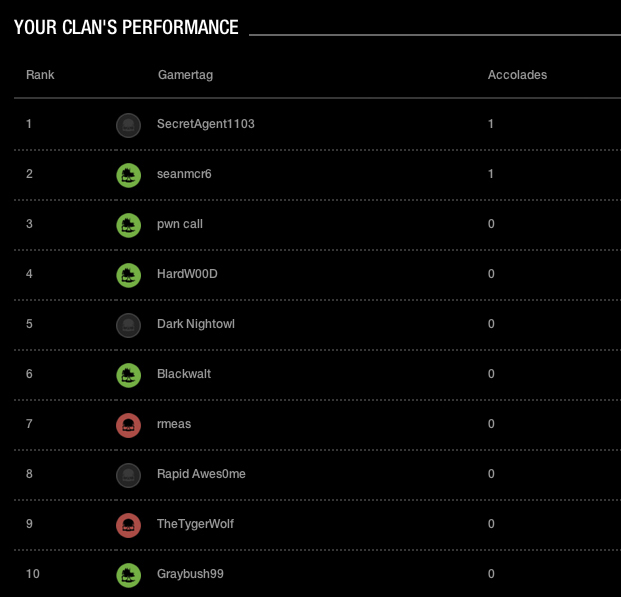 This Clan Challenge is all about blasting your target right in the head. Equip your best precision weapon and aim high to start racking up the headshots. Get more than anyone else in the match and the accolade is yours. 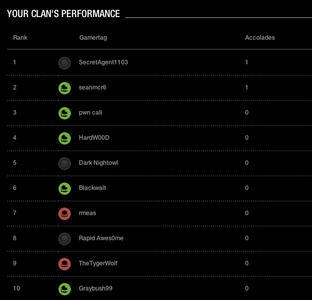 Accolades are cumulative through each tier, so keep fighting the good fight to earn more Clan XP." This should not be confused with the OTHER current headshot challenge, which is cumulative over one week. THIS one is for the Sharpshooter accolade, which is given for most headshots in any given match. Slightly harder. Submitted by Coxxorz on September 5, 2012 - 3:54am. All we needed was one more to get 100 clan XP. Submitted by SeanmcR6 on September 5, 2012 - 11:43am.